GR Engineering is a leading engineering consulting and contracting company that specialises in providing high quality engineering design and construction services to the mining and mineral processing industries. The Company’s services cover all aspects of the project life cycle from the initial evaluation and study phase through to design, construction, commissioning and operational support. With origins dating back to 1986, GR Engineering has experienced consistent growth and has quickly established itself as a market leader with an excellent reputation for delivering projects on time, on budget and to guaranteed design performance. The Company has achieved this strong performance while maintaining a high level of occupational health and safety and environmental standards. GR Engineering has a proven track record of delivering integrated project solutions having provided services in over 20 countries for a vast range of precious, bulk and industrial commodities. GR Engineering’s clients range from junior and mid-size resource companies through to international mining houses. In a number of cases, GR Engineering has successfully delivered the client’s first project and has successfully tracked their growth by maintaining and expanding their operations. 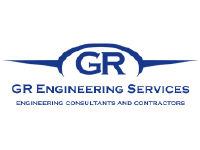 Headquartered in Perth, Western Australia, GR Engineering also has offices in Brisbane and Indonesia with further operational establishment in Ghana, Mali, the Ivory Coast and the United Kingdom. The Company employs a dedicated workforce of over 190 professional, technical, managerial, supervisory and support personnel, in addition to directly employed site construction personnel and subcontractors.